Capturing the vibrant and colourful beaches of the sun soaked island of Saint Lucia the custom awards captures the sunshine and Caribbean spirit of the island. 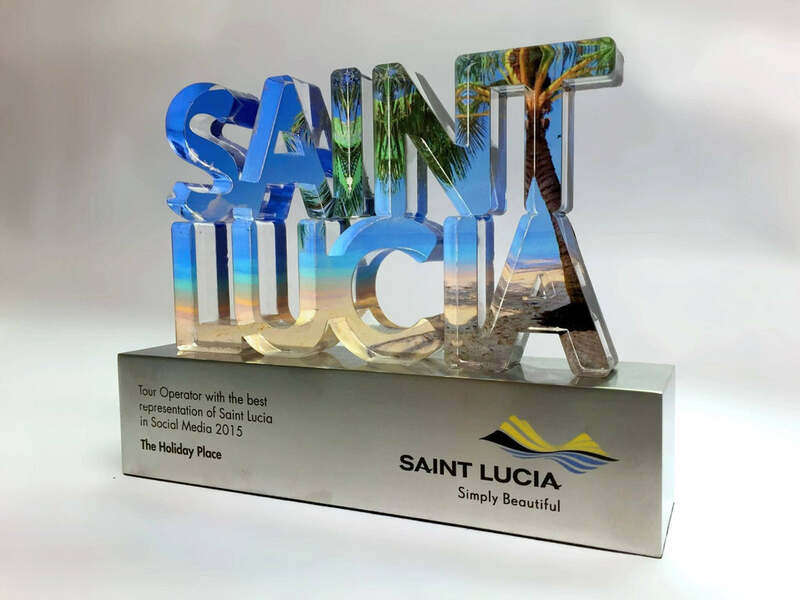 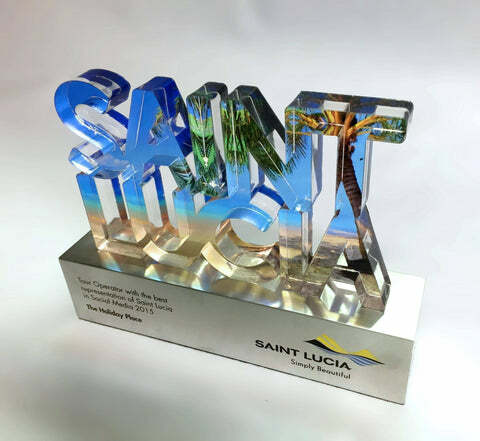 The body of the award is created from custom cut acrylic lettering and is rear printed with the vibrant image of a gorgeous beach in Saint Lucia (A one way ticket would be nice!). The body of the award is mounted onto a brushed aluminium base and engraved with the recipient's details.